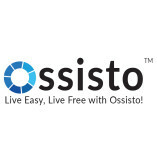 Ossisto is a newly emerging Virtual Assistance company. Our organization is headquartered in New Jersey, with the delivery center based out of Bangalore. We specialize in providing Virtual Assistant Services that include Backend business support,... Marketing Support, and IT services, mainly too busy entrepreneurs and business owners. Ossisto’s aim is to deliver affordable business support to growing businesses, enabling them to perform at par with established organizations. We serve companies from various industries, such as Construction, medical professionals, real estate, IT consultancies, Engineering firms, fitness, and professional speakers to name a few.